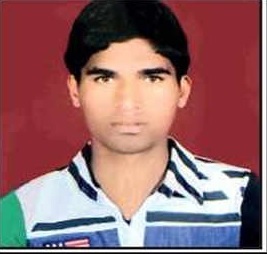 Paratrooper Mukut Bihari Meena hailed from Ladania village of Jhalawar district in Rajasthan. Mukut Bihari Meena was born in 1993 and joined Indian army in 2012 belongs to 3 Para Regiment but during 2018 he was serving with Sector 8 Rashtriya Rifles, which was deployed in Kupwara district of J & K.
Mukut Bihari Meena’s unit was serving in Gwalior during 2018, but a month ago he was sent to Kupwara of J & K and was engaged in Mengawar operations against the terrorists on a regular basis. The area under the responsibility of the unit had thick forest and was being used by the terrorists for infiltrating into Indian territory form across the border. On 11 July 2018, the security forces received the information from the intelligence sources about the presence of some militants who had infiltrated from across the LOC. Based on the credible information, a massive cordon and search operation was launched by 8 RR troops and the first contact with the militants was made in the evening of 11th July at the Sadhu Ganga forest area when the troops were fired at. A gun battle ensued thereafter, but the militants managed to escape making use of the thick vegetation. The operation continued for a long time as the Army troops relentlessly tracked the militants. The Army retaliated the unprovoked firing in a befitting manner and the exchange of fire continued for several hours. However during this exchange of fire one mortar shell landed near to Paratrooper Mukut Bihari Meena who was part of the patrol. 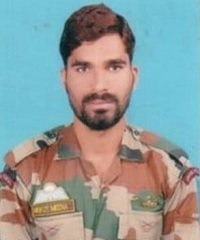 During this operation Paratrooper Mukut Bihari Meena got injured and was shifted to the nearby hospital at Drugmulla after administering the first aid. However he later succumbed to his injuries and was martyred. 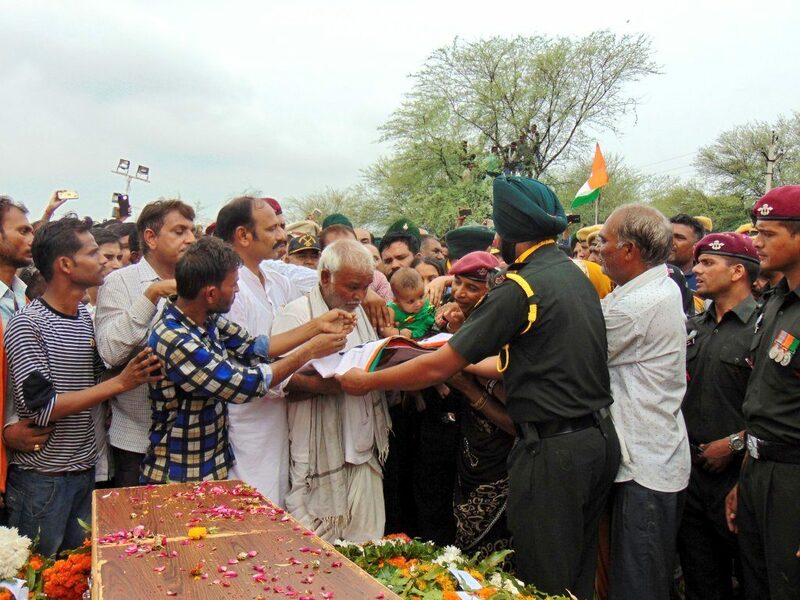 Paratrooper Mukut Bihari Meena was a brave and committed soldier who laid down his life in the service of the nation. The nation will always remain indebted to him for the supreme sacrifice and devotion to duty. Paratrooper Mukut Bihari Meena had recently called up his brother and had told that he would be coming home for Raksha bandhan in August, but instead he came home wrapped in the tricolour. The body could not be sent to Kota due to bad weather conditions. 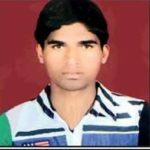 Later, the body was sent to Meena’s native Ladania village in Jhalawar district by road. 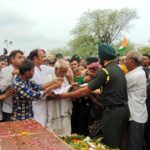 Paratrooper Mukut Bihari Meena was a gallant and dedicated soldier who laid down his life in the service of the nation in a very young age of 25- years, who is survived by his wife, parents, brother and his only daughter who was just six months old when she lost her father.